Tuck your treasures inside this little square pouch which measures just shy of 4 inches square. (These are a smaller size than the regular square pouches-call them fun sized!) Just the right size for change or small jewelry. The pouch body is made of cotton fabric featuring origami dogs. 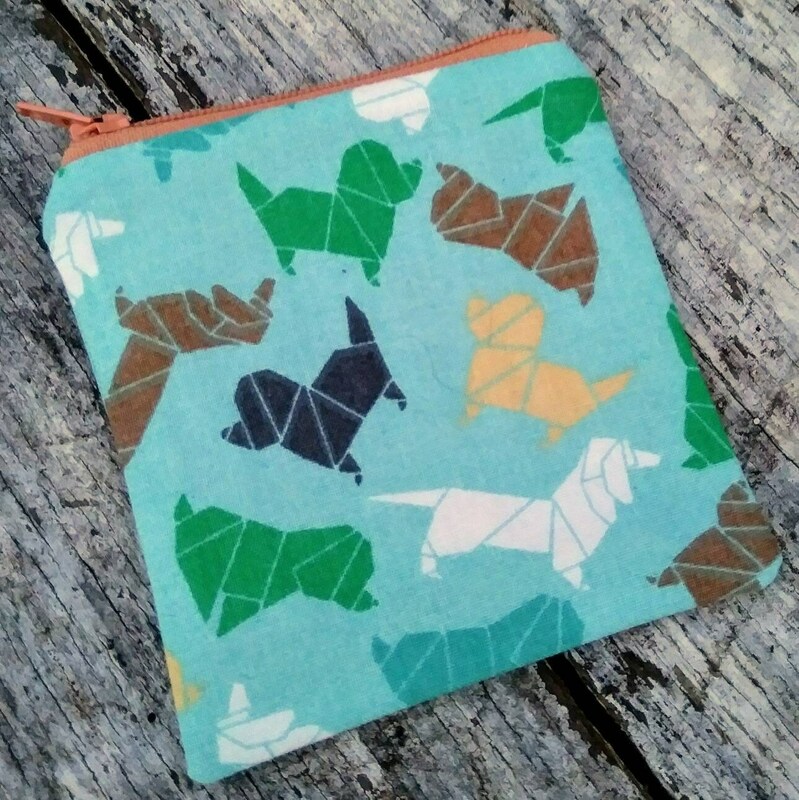 The pouch is fully lined with a fun coordinating print cotton fabric. Fusible fleece gives the pouch a little extra padding and body. Dollface polka dot zipper pouch. Cute coin purse, necessities bag. Embroidered face.